Today I'm back to share my craft fair recap. 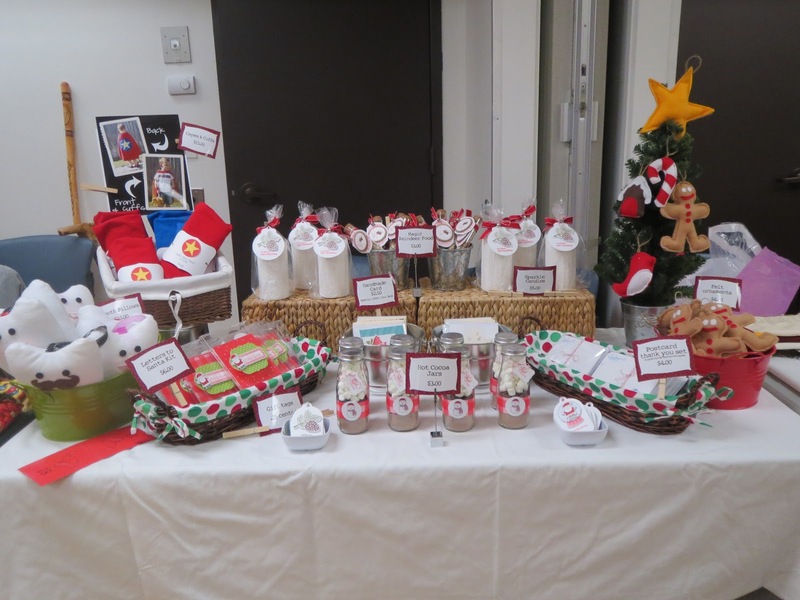 (Just be forewarned this is going to be a long one, but there are a lot of pictures too) I participated in a small craft fair that is hosted at my church. 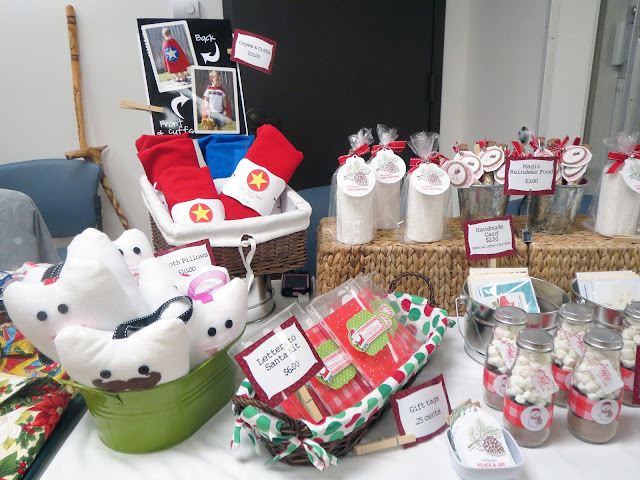 This is my second year doing this and it is the only craft fair experience I have. I will say that I did change things up this year a bit after learning a few things after last year experience which I will go into that in more detail in a bit. First off here is my table set up. This year I made a number of changes to my inventory based on last years experience. 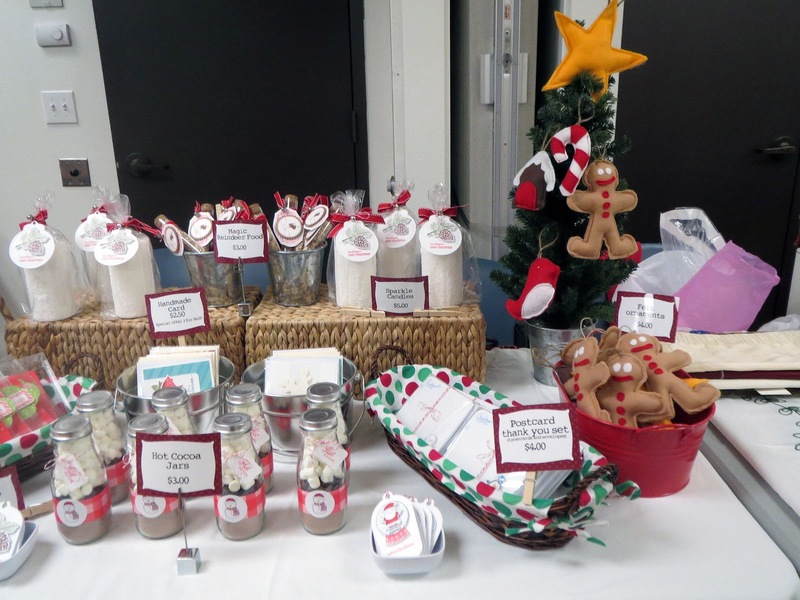 I added more sewing items likes, tooth fairy pillows (far left side in the green bucket) and more gingerbread men (one of my best sellers from last year). 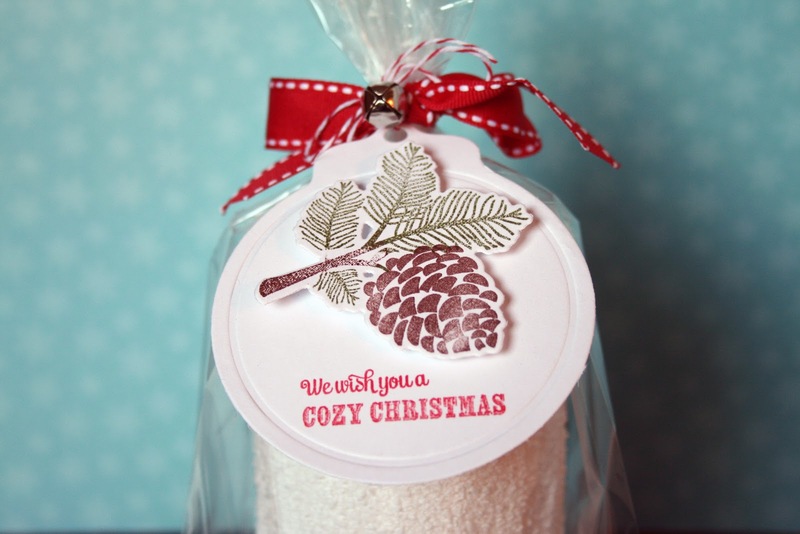 I also added a few other items: the Santa letter kits, the snow candles, and sets of Christmas thank yous. 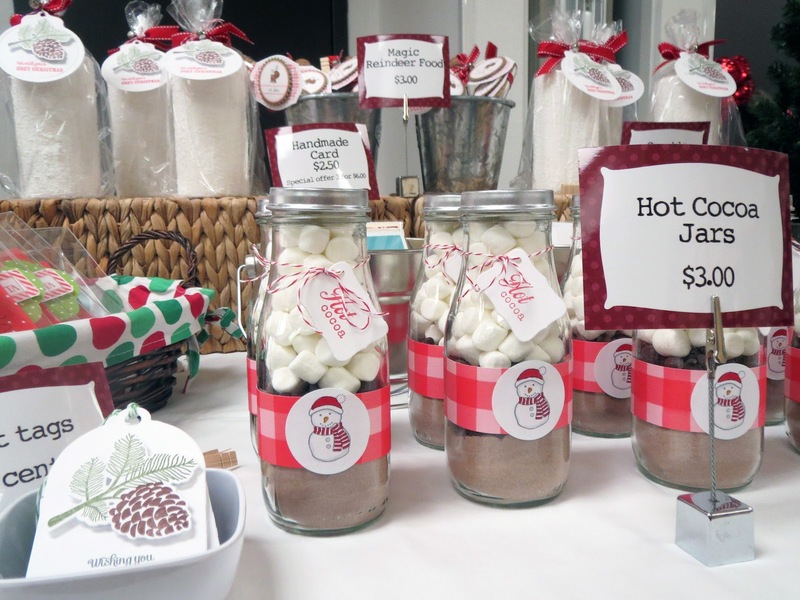 I increased the number of cocoa jars since they sold really well last year. But I also cut down on the number of cards and gift tags I brought since they really didn't move last year. I also changed up my signage from last year which was down right ridicules. This year I made 3x4 signs in photoshop and used clothes pins and photo clips. I would definitely say it was an improvement to last years in which I typed it on to white card stock in a font too small to read. This year I also improved the signage for my capes. Last year I found myself unwrapping one and holding it up any time anyone showed the slightest interest. This year I used some picture of my son modeling the cape which I think worked. I also made a couple of changes on the business side of this operation. I got a square so I would be able to accept credit cards. If you are in any business for your self and have not heard about this you need to check it out. I will say out of all of the purchases of the day I only used it once. The other change was creating an inventory sheet. I used excel and had a list of the item with the price counted how much I had in the morning and at the end of the day and let excel do all of the math. I wish I had done this last year to actually see if I did more or less business this year. But I will continue to use it from here on out. Now after all those changes I sure you are wondering what sold and what didn't. Let me tell you things that I sold out of last year didn't this year and the things that didn't move last year did this year. There is just no way of knowing. Of the new stuff the tooth pillows did okay. The candles did great. I will do both of those again. The Santa letter kits and thank you card sets went home with me. 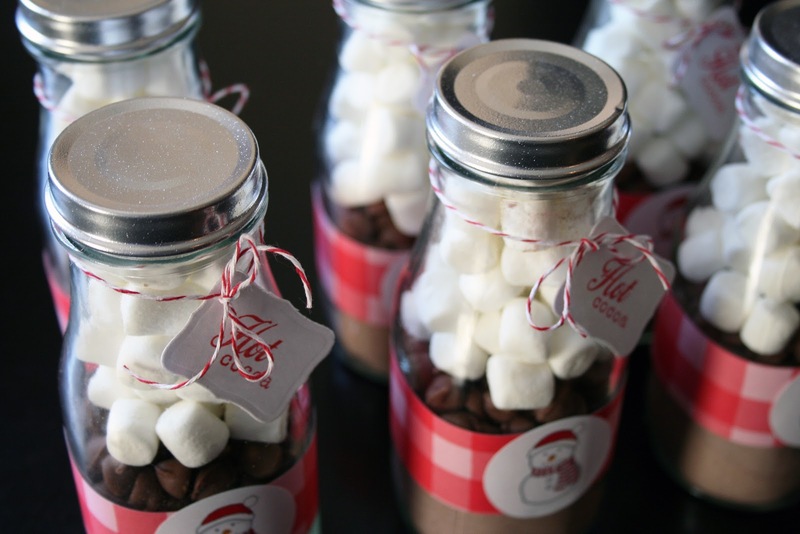 those cocoa jar are like a gold mine. I double the number I brought last year and sold out and could have sold more so I will be upping the number of those. In the end I ended up selling about half of what I brought. which gives me a go start on next year. If you are looking for some inspiration for some last minute Christmas gifts you have come to the right place. 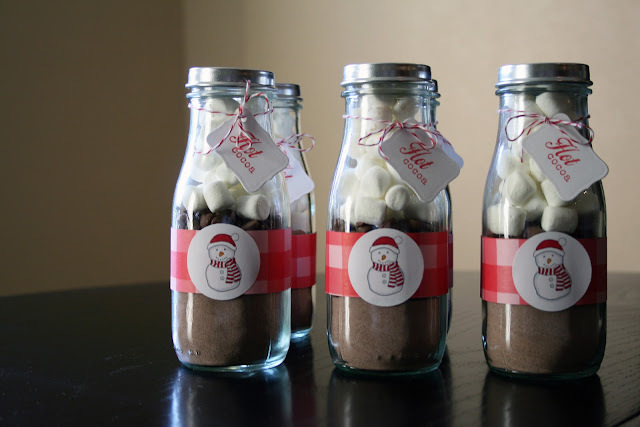 Today I have another great crafty and inexpensive gift idea. 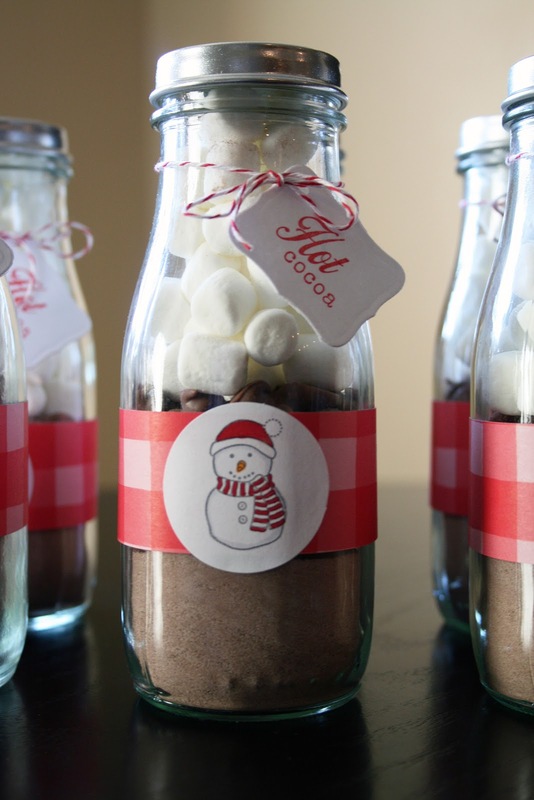 This would be great for a quick and cute gift for a teacher, neighbor or co-worker. There is two packages of cocoa mix along with chocolate chips and marshmallows with makes a perfect cup of hot chocolate. 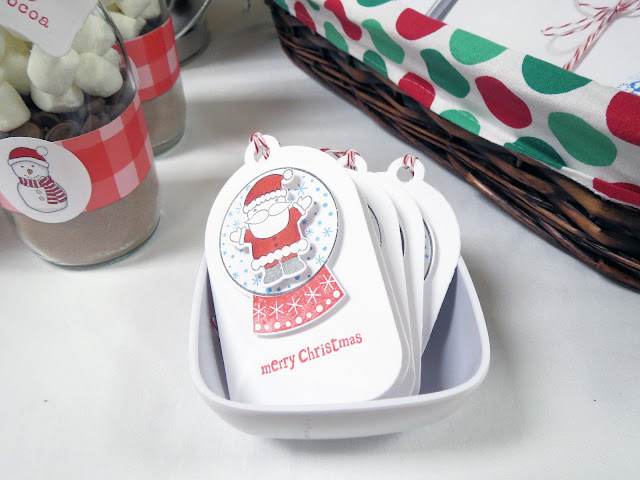 Quick tip: this might be obvious to some but I found when I made some of these last year and used card stock for a focal image on the front and that it did not want to stay glued to the curved surface. I tried various adhesive methods but nothing worked so this year I used a sticker sheet and stamped on it and then stuck it to the jar and it worked much better this year. I just love to see them all like up before giving them away. I could look at them all day. I'm back and I have a great project to share today. For the craft fair this year I made some snow candles. This is the first year I have made them. I am very pleased with how they turned out and using Papertrey Ink's Peaceful Pinecones was a pefect match for the tag. Hello, anyone out there......well if there is please don't forget about me. I was planning to post something crafty today but blogger had something different in mind. It seems I have used up all of the free picture space on the blog. 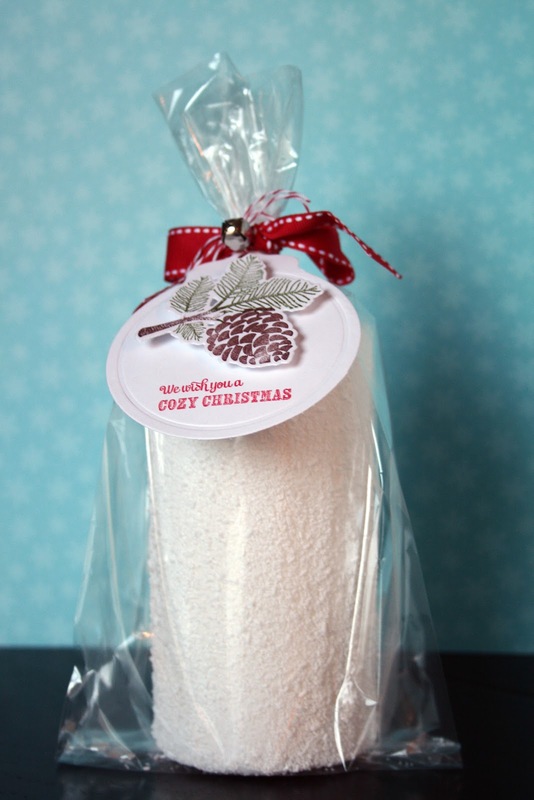 So I am looking into some other options, because a crafty blog without pictures doesn't work.